Arbor Green Family Medicine always appreciates feedback from our valued patients. To date, we’re thrilled to have collected 33 reviews with an average rating of 4.91 out of 5 stars. Please read what others are saying about Arbor Green Family Medicine below, and as always, we would love to collect your feedback. I've been going here for about 5 years now. Dr. Alaidroos and the staff are absolutely wonderful! I am always able to make an appointment same day and get in and out. Dr. Alaidroos and staff are sincerely genuine and really care about her patients and their needs. I love these people! I became sick in the middle of the night and was able to get in the next morning. Was seen by the Dr., diagnosed, given a prescription, and able to start the healing process that fast! She is always thorough and caring. She takes the time to discuss my health and answer any questions I have! Even though they were busy, I was seen as soon as possible. And out easily and quickly. Always a doctor I can trust! Was very quick and organized. The staff are very friendly. Most doctors provide their patients care, whereas Dr. Alaidroos is truly a caring doctor. Dr. Alaidroos and her staff are very nice and welcoming. She truly cares about her patients. I always feel like I'm listened to and if I have questions they are answered. Great doctors! I waited just a few minutes and the doctor came in right away. The doctor is straight forward and I appreciate her attention to detail. 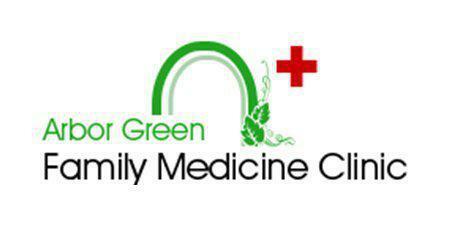 At Arbor Green Family Medicine, we accept most major insurance plans. Here is a short-list of just some of the most popular plans we accept. CLICK HERE for the full in-network insurance list, or contact our office if you do not see your insurance provider listed.